Get spooked this Saturday, Oct. 27th at 7 p.m. Provided by BUJA Binghamton University Japanese Association The Binghamton Japanese Student Association (BUJA) is holding its annual Ghost House event, which combines Japanese tradition with Halloween. 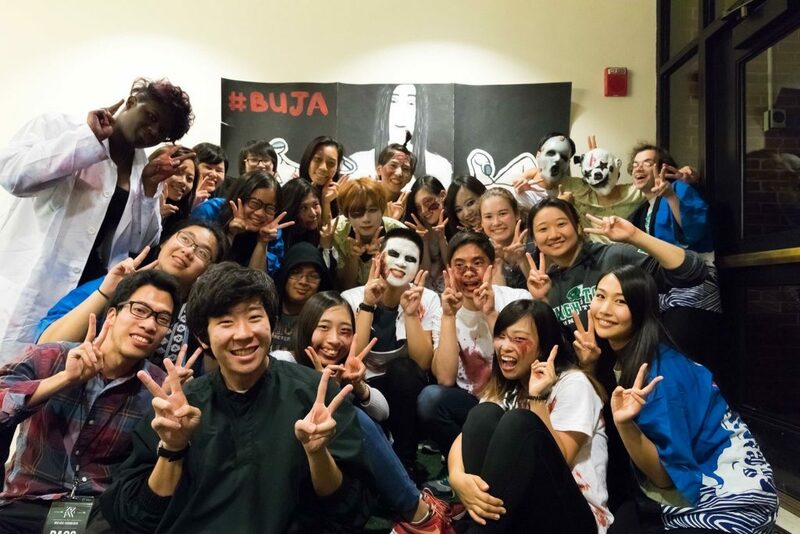 The Binghamton University Japanese Association (BUJA) is putting on a “Ghost House” this weekend to celebrate the ominous Halloween spirit. The cultural organization is building on its success in previous years holding this event, which essentially emulates the Japanese tradition of haunted houses, or obakeyashiki, that provokes spooky yet riveting feelings. Nanami Kado, president of BUJA and a senior majoring in sociology, said the number of people the event drew in last year was what made them decide to host it again this year. Ghost House is essentially an obstacle course with a set theme that students walk through to the end. This year, the theme of the obstacle course is a hospital that includes different Japanese traditions. According to Kado, the organization tried to replicate the inside of a Japanese hospital and the obakeyashiki that can usually be seen in Japanese amusement parks and malls, albeit on a smaller budget. Corinna Ronen, vice president of BUJA and a junior majoring in biology, said that while the purpose of the event is, in part, to spread the spirit of Halloween, it is also a way to showcase a distinct element of Japanese culture. “It’s a cultural aspect of Japan, because there are a lot of haunted houses in Japan,” Ronen said, adding that there is a spate of TV shows and stories that form a part of Japanese mainstream culture. Kado expressed the prevalence of this theme in Japanese culture. “We just believe in supernatural things such as spirits, and that’s why we tend to believe in the existence of ghosts,” Kado said. Ronen said they expected even more students this year, and as a result, are putting even greater effort into the promotion of the event. The Ghost House will take seven to eight minutes to walk through, and bringing friends is encouraged. “You can come alone, you can come with a group of friends, [although] I’d probably recommend coming with a group of friends,” Ronen said. Kado expects the event to be fun for many students, all while offering them an interesting glimpse into Japanese culture. The event will be held at 7 p.m. this Saturday, Oct. 27 in University Union Room 120. Admission is $2 for students with a student ID card and $3 for general admission.